Monitor specialists ViewSonic is spreading its wings with a two netbooks – the low end VNB100 and the more impressively featured VNB101. 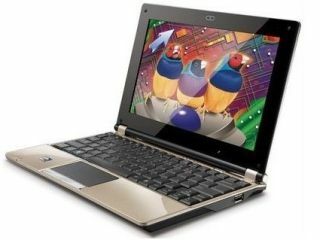 The 10 inch VNB100 is described, by ViewSonic' as a basic netbook, bringing a 1.6Ghz Atom processor, 1GB of memory, 160 GB hard drive and Windows XP Home. Of course, it also has WiFi, ethernet and three USB ports, and has been priced at a shade under £300. The VNB101 on the other hand boasts a super slim (25mm) design, weight 1.1 Kg and has a frameless screen design. It's sporting the Atom N280 processor, 1Gb of RAM, 160 GB HDD and can boot in 8 seconds. The keyboard is 92% of a standard size and the touchpad is multitouch enabled. The ViewSonic VNB101 is priced at £329 and both it and its little brother are available now.